To be completely honest, customer service is such a wide notion that it’s quite difficult to see which tools count as customer service tools and which don’t. I mean I asked out customer success manager Konstantine about the go-to tools he uses at work every day. Suffice it to say, one of his favs is Spotify. Not quite what you imagine when talking about customer service tools, right? But then again, do you imagine your work without it? So yeah, customer service tools are different for different businesses. Depending on what customer service means to you, there are live chat tools and help desk tools. There are call center tools (cause it’s still a thing in 2019) and all-in-one tools that have them all. The choice is yours. They all have different sets of features and tools depending on whether you prefer old school ticketing systems or more modern business messengers. But if we talk small business, I think I can safely assume the question of pricing is one of the most important here. So in this article, we’ll focus on the money thing as well – to help you count your spendings. So let’s delve right in. Most basic HelpCrunch pricing plan starts from $12/agent/month if billed monthly. For this price, you’ll get 1 agent seat and full chat widget customization (except for unbranding). You can also set up 3 concurrent auto messages and have access to your full chat history and unlimited contacts database. Starting from $21/agent/month you can get yourself the Premium plan which will include… well, everything and without limitations. There are also custom plans available. HelpCrunch also provides a free account which is quite rich in features – a live chat for the unlimited number of domains, 1 concurrent auto message, chat messages and 2-day chat reports. 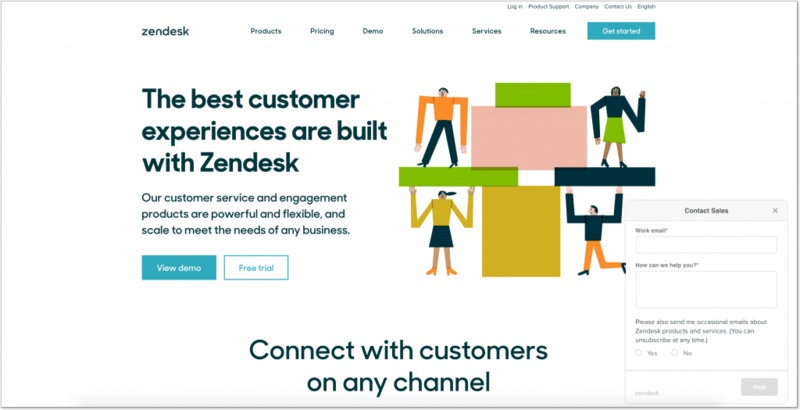 Zendesk is one of the oldest customer service tools on the market. They started back in 2007 as a ticketing system and it remains their most perfected tool to this day. But truth to be told, their target customers are bigger businesses and enterprises. But it can be quite convenient for smaller businesses for one reason – you can buy their tools separately. If you don’t need a live chat and only want their help desk tools, you can go and buy just it. This way you can construct your own customer service tool according to your needs and taste. If you subscribe to Zendesk Support, you can also add such tools as Guide (knowledge base), Talk (call center), Explore (analytics) to it – all for additional fees. Freshworks is a family of all kinds of customer service tools. For each of them, you would need to pay separately, though. Their basic live chat plan starts from $19 per agent per month and includes limited triggered messages, chat reports, and working hours. Their basic help desk toolset costs $25 per agent per month and includes knowledge base, time trackers, and customer satisfaction surveys among other things. Their basic call center toolset costs from $25 per agent per month, but there are also additional costs associated with calls. Buying all these tools together can turn out to be quite costly. But if you don’t need them all (and I don’t think anybody actually does), Freshworks can turn out a nice customer service tool. When a company names itself LiveChat, it’s really difficult to add anything to it. So, as you may have guessed, it’s about a live chat 🙂 Their live chat includes all the basic stuff like canned responses, automated greetings, chat reports and statistics, etc. It’s also enhanced by some ticketing and team management functionalities. For instance, you can tag your incoming chats, leave private notes as well as create agent groups and assign roles. I’d say it’s a very nice set of live chat features, which you can get for $19 per agent per month (the Starter plan). But what you’ll get is a very limited set of features like 60-day chat history and basic chat customization. For more, you’ll need to pay either $39 or $59 per agent each month. The most unlimited pricing plan costs $149 per seat and is only available as per annual subscription. 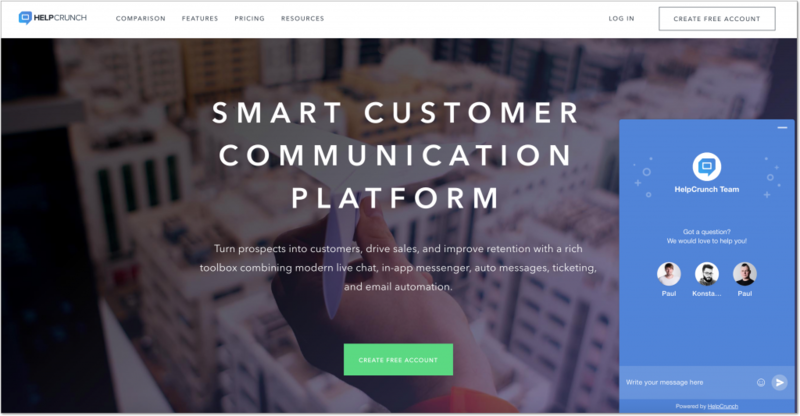 So… Crisp positions itself as a customer service tool for startups and small businesses. So let’s see if it’s really the case. The only thing is, most of these little nice features are only available starting from the Unlimited plan which costs $95 per website per month. If you’re not ready to pay that much, you can pay $25 monthly for the Pro plan. Be aware that it won’t include the automation or help center features. Instead, you’ll get access to unlimited chat history, triggers, canned responses and private notes among other things. It’s not much, but the best thing about this subscription plan is that it includes as many as 4 agent seats. Crisp also claims that they provide 50% for non-profits and students, which is quite nice. First of all, Intercom has a pricing model that is different from most of its competitors (and not in a good way). They charge for active contacts in your database, which usually makes Intercom, for the lack of a better word, very expensive. That is why I can’t even tell you how much you’re going to pay at the end of the day, because it’s impossible to predict these things with Intercom. It can be a great fit for small business only if this business is so small that it has no contacts at all. Also, they have a 1-year subscription for early-stage startups that costs $49 per month. For all the other cases, you better look into alternatives. The toolset is great though. 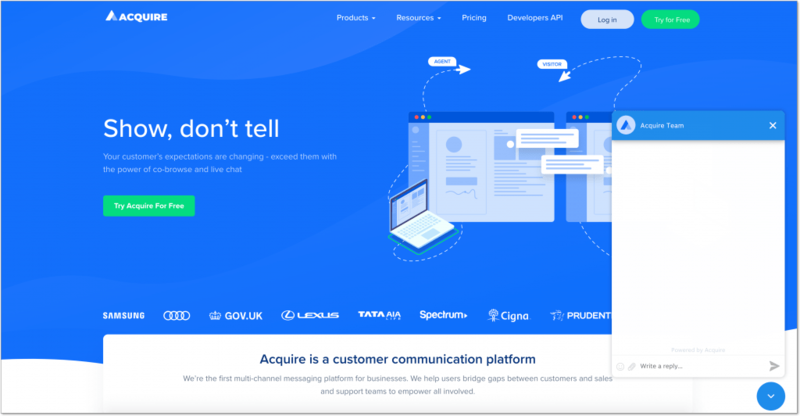 From in-app messenger to email marketing tools to bots – Intercom is one of the leading tools on the market. Drift’s most basic paid plan (as extended as it is) costs from $50 for 2 agent seats per month. Each additional seat will cost you $25/month. But this subscription plan will include a live chat, 150 sales emails/day, unlimited marketing emails and a live view of website visitors. 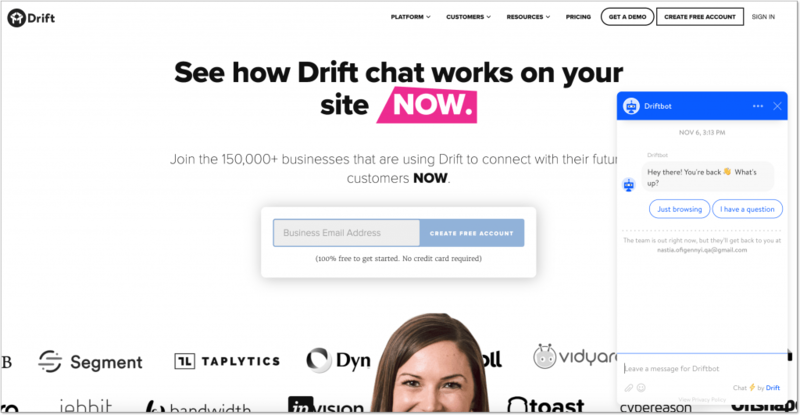 Given they also charge for active contacts, I’d say Drift is not the first customer service tool that comes to mind when talking about small business. 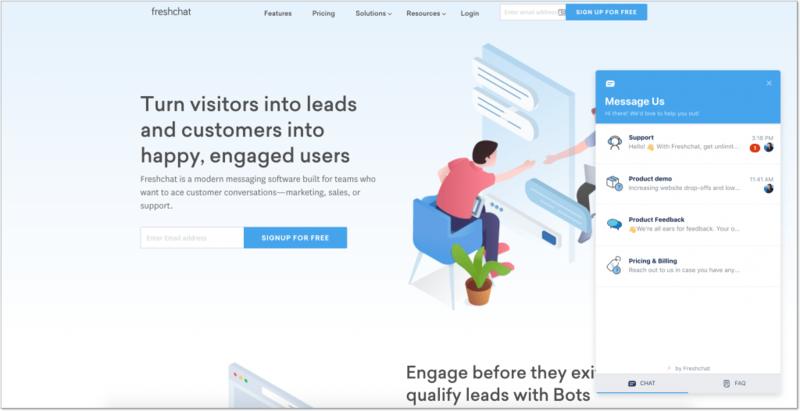 More than that, Drift’s famous bots and conversational landing pages are included starting from the Pro pricing plan which costs $500/month. Though I’m not the biggest fan of the design decisions they made for their live chat widget, their toolset is definitely worth mentioning here. They have a free subscription plan that includes audio calls and 30 chats per month. Yes, 30 chats in total. Yes, it’s crazy. The most basic paid subscription which will allow you to have an unlimited number of chats costs $14.99 per month. But if you’re here for its video chat features, you’ll have to pay at least $24.99 per month for Pro plan. It will also include post-chat surveys, chat history and reports. 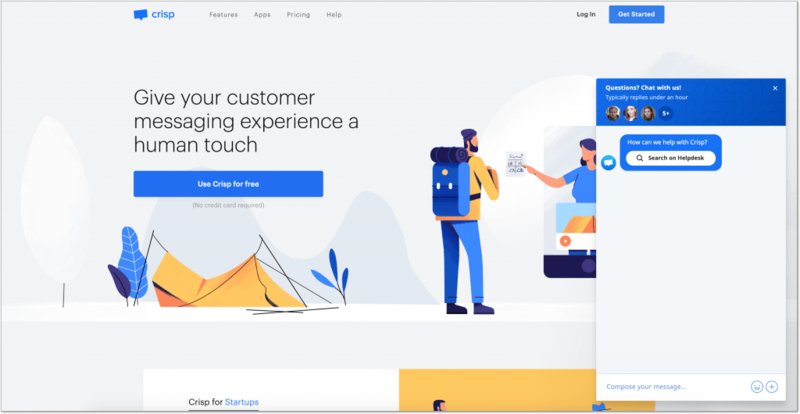 Acquire’s most outstanding features is its co-browsing tool which allows your support agents to see and interact with your customers’ screen in real time. Naturally, this can accelerate your customer service performance dramatically. All these tools and features are available on their basic pricing plan for $35/agent/month. And for as much as $250/month you can also get a chatbot with a knowledge base. Aircall provides a complete set of tools for a cloud-based call center including business hours, call queue, and interactive voice responses. You can even add your custom music and record phone calls. Their Essential pricing plan costs $40/user/month. Unfortunately, they have one condition for it – you need to have at least 3 users onboard. Outbound calls are priced per minute. As a customer service representative, you’re gonna have lots of business meetings. So you’ll need a nice place where people can come and book some demo meetings. Calendly is free and as convenient as it gets. Just share a link to your Calendly account with your customers, that’s it. If you need something free and convenient for doing your demos, there’s always Google Hangouts. A nice tool for making screenshots which not only allows you to add all those nice arrows, squares, and stuff, but also has a function of a panoramic screen (with scrolling). You can scroll and make a screenshot of the entire page or video record it and make into a gif. Extremely convenient. It’s also worth mentioning that lots of customer service tools that I’ve mentioned above provide their limited versions for free. For instance, with HelpCrunch free account you get 1 agent seat and 1 concurrent auto message, while you’ll be able to store up to 500 contacts in your database. 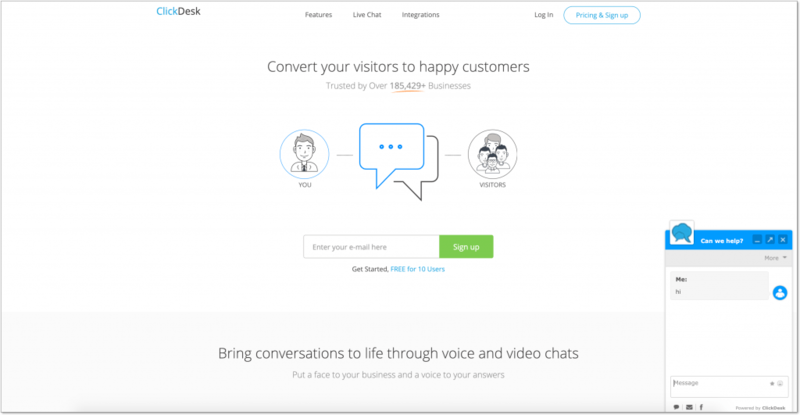 The number of domains you can install its live chat widget is unlimited. So you can start with them to save yourself a couple of bucks and see how it’s going.